Though independent Indian cinema has always found a place for itself at Cannes Film Festival, right from the days of Satyajit Ray, the sharp rise in international popularity of ‘Bollywood’ cinema overshadowed it , but it seems to be staging a strong comeback now. Cannes has traditionally been a happy hunting ground for independent filmmakers from India and indeed all over the world. All the Indian films that have either won awards or even featured in the many competition categories at Cannes have been independent films, be it Chetan Anand’s Neecha Nagar in 1946 or Satyajit Ray’s Pather Panchali in 1956 that had won Palme d’Or for best film in the competition. The trend continued for decades, with several other Indian films making their mark at Cannes. However, by 1990s, with the advent of Bollywood on the global scene, especially capturing screens in some key Western markets and the sudden rise in films oriented towards Indian diaspora, seemed to have pushed the independent Indian cinema into shadows. 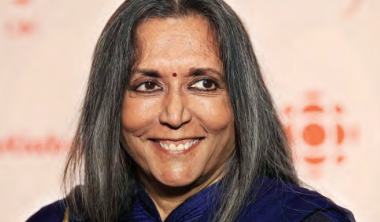 And even though independent filmmakers from India were still gathering at Cannes, the broader focus unfortunately was totally on the big film stars and their films. The presence of top Indian actresses, beginning with Aishwarya Rai and soon including Deepika Padukone and Sonam Kapoor, on the red carpet at Cannes, to promote the French cosmetics brand L’Oreal, did move the focus of Indian presence at Cannes towards glamour but again away from independent films. In this backdrop, it was encouraging to find a large number of independent films from India at Cannes. Some, notably the makers of three Marathi films, were helped by their state governments to participate, while others, including a young, adventurous film maker from Kolkata, managed to land at Cannes on their own strength. At the festival were heavy weight lifters of independent cinema from India, Shaji Karun and Jahnu Barua, who were present with their own projects at Cannes, highlighting, perhaps for the first time, the diversity of independent cinema in India at the international platform. 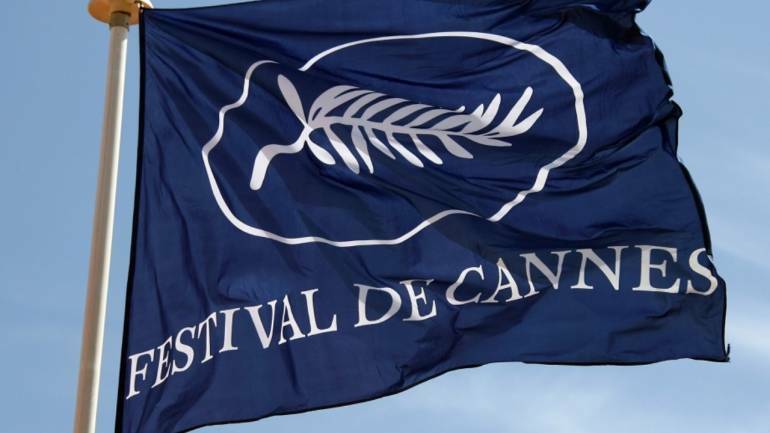 By bringing independent films to Cannes, the government has allowed the mostly young filmmakers to go for market screening of their productions, a dream for many in film industry around the world, and also giving them an opportunity to interact with potential buyers from around the world and discussing future projects such as co-productions with them. This year’s exotic selection includes what is reportedly the first film from Lakshadweep Islands to be screened at Cannes as well as the award winning Assamese film, Village Rockstars, by Rima Das, who said she was elated to be at Cannes as it was more than a dream come true for her and her team. For Deepak Gawade and Sharad Kelkar, director and producer, respectively, of Marathi film Idak, that depicts the journey of a village simpleton and a goat, the visit to Cannes was a true milestone and a turning point. “We are thankful to the government of Maharashtra, which has brought us and our film to Cannes. This unique exposure and the opportunity to discuss our film with experts from around the world and also to discuss the possibility of distribution of the film in different markets has been a big boost. We also are using this opportunity to discuss our next project with producers and potential partners from different countries,’’ say Gawade and Kelkar. Taking a lead in promoting their film industry and encouraging the young filmmakers, the Maharashtra government has brought three Marathi films to Cannes this year, under the banner of Dadasaheb Phalke Chitranagari, as Mumbai’s iconic film city is known formally. Jayashree Bhoj, managing director of the Film City, says the government’s objective is to provide this platform to its filmmakers, especially those without the financial muscle to be at Cannes on their own, as well as promote Maharashtra as a destination for the global film industry, be it for shooting locations or post-production. But not every aspiring, young filmmaker from India has had the government backing. A young director from Kolkata has put in all his savings to land up in Cannes, on the steam of his partially-completed film and with the backing of an equally young and enthusiastic producer. Sudipto Roy, who is also a journalist, but had always been interested in filmmaking, has a couple of short films under his belt. Late last year, he took the plunge in cinema world on a full-time basis, taking a sabbatical from his job to produce his first feature length film, Kia and Cosmos. 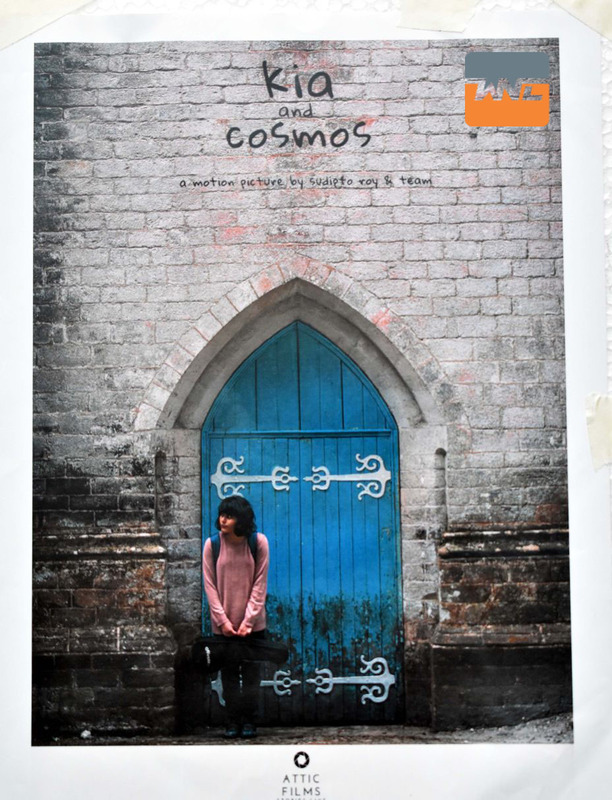 Set in Kolkata and travelling to Kalimpong, the film is about Kia, an autistic girl who launches an investigation into the mysterious death of her cat, Cosmos. The film captures this journey, which also brings Kia to face many harsh facts of her life, including the whereabouts of her father. Roy, along with his producer, Prachi Kanodia, arranged a screening of the film at the Cannes Film Market and is thrilled with the reviews that he got from the viewers, who hailed from different countries. ‘‘My mother and I loved Kia and her mother’s chemistry. My mother cried. I think the film is very well made and we would love to watch it in London when it releases!’’ said Jade Flintoff, a film critic from the United Kingdom. ‘‘I loved the colours of the frames, the set design, the acting. The story was very relatable and will be great to watch when the entire post-production will be done. I knew Indians make films which have song and dances, but this film is very different and I would like to know where these films end up. It has a very good future in the festivals!’’ said Arthur, a Polish cinematographer and producer. The viewers’ comments left the young duo from Kolkata enthused about the future of their film. ‘‘I love the way the Cannes film festival happened for our film and I am glad that I am here with my director. The platform is great for first time filmmakers and it is quite encouraging for me and Sudipto to be here in this prestigious film event,’’ says Prachi Kanodia, the producer. She was backed up by her director. ‘‘It’s difficult to tell your stories the way you want to tell in India as the commerce and art contradict itself very often here. For first time filmmmakers, the challenge becomes twice bigger. It has been six months of a lot of hard work for me and my team, and on an extremely tight, shoe-string budget. But I can say with some satisfaction that the film is here at Cannes, seeing the light of the day in front of an international audience. I hope the film, when it’s released in India, gets its due as the team that worked on it for all these months deserves a pat on their back.I am proud to be the person that could keep a bunch of hopeless romantic filmmakers from around the country inspired for all this while, despite several dark nights and desperate afternoons. Cannes was a great experience and I am returning with more enthusiasm and much more conviction,’’ says Sudipto Roy. Roy should be encouraged by the opinion of leading actor, Manoj Bajpayee, who feels that Indian independent cinema is going great guns and has a great future ahead. “Definitely, the situation of independent cinema in India has improved a lot. You can see the presence of all the Indian independent filmmakers and their films all over the world in various international film festivals. It is amazing, the way it has been growing multifold and in leaps and bounds.. I really feel that in a place like Cannes, all the new filmmakers from India, from different languages, should make it a point to come here together and show their presence, show their strength; and also tell the world that the Indian film industry is not only about song and dance, it is also about very strong content and has lots of very creative young filmmakers,’’ Bajpayee said.